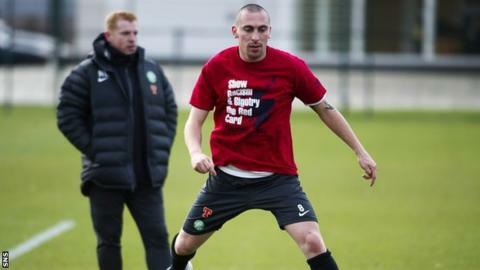 Celtic manager Neil Lennon says any form of racist behaviour is "an instant sackable offence" at his club. The issue has been the subject of much discussion in English football with some players and managers wanting more action taken against racism. And, although Lennon does not believe it is an issue with his squad, he has reminded players of what he expects. "I have a zero tolerance rule. I have spoken to the players about this before," he said. "We are an open club and we have been since the club was formed 125 years ago. "Any sign of any sort of racism against colour, religion, background will be an instant sackable offence. "I don't have to really speak to my players about that. The spirit and respect they have for each other is tremendous but they have been made well aware of that before. "There is no place for that [discrimination] in the game and there never should have been. "At this club we see everyone as equal and all I see are footballers and men and we treat them that way."